Now I have to admit with 2013 being the first year I started high school, I have had very limited amounts of time for me to read. Despite this, I still was able to squeeze in a few books here and there and my top three books of 2013 are definitely some of the best books I have read in my lifetime. I actually read this book for school over the summer. Even though it was a huge load of a book and lets be honest, sometimes kind of difficult to get through, I loved it! 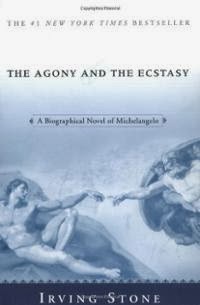 The book basically a portrays the life of the famous artist, Michelangelo. It starts with Michelangelo as a young child and ends at his death. When you have actually read through the whole book, you gain a very strong sense of accomplishment and you get very attached to the characters. This is especially true for Michelangelo. By the end of the book I actually found myself crying that he was dead and very reluctant to accept that the book was over. Now whenever I hear his name, I feel as if I knew him personally and understood him. I suggest you check out this book as long as you can just power through it because it if an amazing experience when you finally do. 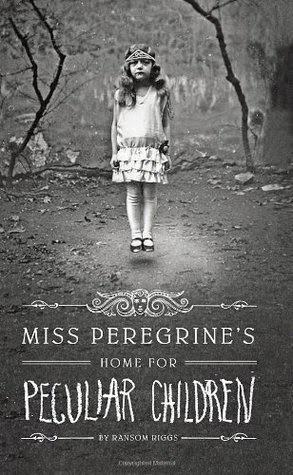 This book was just so fantastic! It really did surprise me! In the beginning I thought the concept of creating a story from old creepy pictures was very unique and intriguing. Also before reading it I knew the book would be about a boy, Jacob, who finds out that his grandfather's rather unrealistic stories which he has told Jacob since he was very young were actually real, and this is pretty much exactly how the book started out. Even as interesting as this already was, I was very unsure about where the story was going to end up, but the way it did was just PERFECT. The ending ultimately just took this book to a whole new level. It was all just so heart racing, action packed, nerve racking, but beautifully done at the same time! I definitely, definitely, definitely recommend this book to those who love unique YA books especially paranormal and fantasy lovers. I absolutely cannot wait for the next book to come out this month!!! If you don't already know the Percy Jackson and the Olympians series and The Heroes of Olympus series have to be my favorite books of all time. 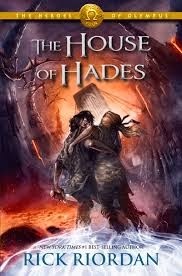 Rick Riordan is just amazing because with each book the story just continues to get better and better. I was dying to get my hands on this book since the hugely devastating cliff hanger in the last book (The Mark of Athena) and when I finally did, the book was literally flawless. This book contained so much great character development that we really got to understand and love most of the characters even more than before. Then the plot itself jumped straight into the action from the very beginning and stayed that way until the end. The last book, The Blood of Olympus comes out this fall and I cannot wait! There is really not much I can say about the plot without spoiling he whole series so if you have not read the Percy Jackson and the Olympians series and The Heroes of Olympus series by Rick Riordan, I suggest you start immediately! You will not regret it. Those are my top 3 books of 2013. Feel free to share yours in the comments. I hope to have at least two more posts up by the time the weekend is over which are already very overdue.